NextGov reports on the recent move by the Department of Homeland Security (DHS) to cancel Flexible Support for the Homeland (FLASH), a new $1.54 billion contracting vehicle for procuring agile software services. The criteria DHS staff used to assess applicant companies didn’t allow them to “reasonably evaluate the offerors,” potentially resulting in an “unequal treatment of offerors’ weaknesses and risks. 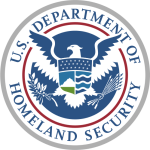 DHS did not require offerors to provide sufficient information to assess whether the prices proposed were realistic to perform work on task orders. DHS’ price evaluation report doesn’t make it clear how the team evaluated price realism. DHS’ FLASH was “intended to be a pilot,” DHS Chief Information Officer Luke McCormack said during an AFCEA event in Washington last year . . . Critics argue DHS should have used existing contracting systems instead of attempting to build a totally new large-scale vehicle. FLASH’s cancellation is likely a reflection of the challenges agencies have setting up new initiatives, and observers should not take it as a sign agencies don’t have an appetite for agile software development services. “What it really says is agencies need to step back and think about how they are going to market for these kinds of [agile] services,” Brian Friel, founder of Nation Analytics, a data firm tracking contracts, told Nextgov.